Together, their states send 73 MPs to the Lok Sabha, and if opinion polls are any indication, the three together could comprise a bloc of at least 40, if not more, MPs in the next Lok Sabha. On Sunday, Telangana Chief Minister K Chandrashekar Rao said he had “never seen a more deplorable or lamentable prime minister” than Narendra Modi. Last week, YS Jaganmohan Reddy said he has forgiven the Congress party for the way it had “treated” him in the past. Reddy said he would support any government at the Centre that grants special status to Andhra Pradesh. Odisha Chief Minister Naveen Patnaik has said he will insist on special category status for his state from the next government. He said he is “disappointed” in Modi and could support a federal front government. Some believe Rao, Reddy and Patnaik are three potential allies of the Bharatiya Janata Party (BJP) if the National Democratic Alliance falls short of the simple majority mark. Together, their states send 73 MPs to the Lok Sabha, and if opinion polls are any indication, the three together could comprise a bloc of at least 40, if not more, MPs in the next Lok Sabha. Other observers have commented that Rao and Reddy, if not Patnaik, have made these statements since they are in the midst of an electoral battle and need minority votes, which might desert them if they vow support to the NDA, and that they would eventually either issue outside support, or be part of, a BJP-led NDA government. However, senior leaders in regional parties disagree with these inferences. They claim regional satraps are in constant touch with each other and a consensus is developing on the road ahead once the results are announced on May 23. While the BJP might have its plan ‘B’ ready to woo Patnaik, Reddy and Rao, regional parties say their plan ‘A’ to get the three in the federal front is already afoot. They say they understand that President Ram Nath Kovind would call the single largest party to form the government, which is likely to be the BJP, but are also confident that Patnaik, Rao and Reddy would rather be part of a federal front government. They believe Rao, Reddy and Patnaik would agree to be part of such a government if it has a non-Congress prime minister. However, they reject the possibility of a repeat of the United Front government of 1996 to 1998, where the Congress had supported the coalition from outside. They believe the Congress, as the single largest party, would need to be part of the federal front government to ensure its longevity. Keen observers of politics remind of a picture from January 2018 taken at a table in Odisha where Pranab Mukherjee, Sitaram Yechury, H D Deve Gowda shared breakfast with Chief Minister Naveen Patnaik. Member of the BJP’s margdarshak mandal, L K Advani was also present. They were there for the launch of a biography on Patnaik’s father. In his speech later, Gowda recalled that Biju Patnaik played a major role in him becoming the chief minister of Karnataka and later the prime minister of India. Gowda demanded that he be conferred with the Bharat Ratna. CPM’s Yechury reminded that senior Patnaik had always been a supporter of secular forces, and would be happier if the BJD were to return to the fold. The consensus among regional parties is simple – they do not want Modi and BJP chief Amit Shah to return. According to sources in her party, West Bengal Chief Minister Mamata Banerjee has remained in contact with Patnaik, Rao and Reddy. The eventual shape of the government would mostly depend on how many seats the BJP wins, but if the NDA were to stop at 240, the regional forces are prepared to bid for power. Banerjee nurses prime ministerial ambitions and expects her Trinamool Congress to emerge the third largest party, after the BJP and Congress. The assessment among regional parties is that they would be able leverage their influence more effectively in a federal front government, with the Congress as its largest constituent, than in a government led by the BJP, which the Rashtriya Swayamsevak Sangh would continue to influence. While a plan B for the BJP envisages Modi and Shah wooing new allies for NDA, there is an internal challenge that the alliance faces and it is in the form of grievances that existing NDA constituents harbour. According to sources in these parties, including those among BJP’s current allies, their respective leaderships are unwilling to suffer alleged insults meted out to them in the last five years. In this, the experience of the Shiv Sena, the Akalis, Ram Vilas Paswan-led Lok Janshakti Party and Nitish Kumar-led Janata Dal (United) have been similar. Bihar CM, Nitish Kumar even went to publicly comment that he had appointed Prashant Kishor as the vice president of the party at Amit Shah’s insistence. It is important to note that Kishor has faced some challenges in JDU since. In another public statement, Nitish Kumar even reminded Kishor that he was not a strategist anymore but a political worker and he needed to remember that. The Akalis say the BJP’s top leadership have insulted their party chief and former Punjab chief minister Parkash Singh Badal, let alone lesser leaders, repeatedly. Telugu Desam Party sources say their chief N Chandrababu Naidu, the current Andhra Pradesh chief minister, quit the NDA on the question of special category status, but also because he felt humiliated. Naidu had played a key role in putting the NDA together in the run-up to the 2014 Lok Sabha polls, but felt he was treated shabbily once the BJP won a simple majority on its own. Sources also say that even the Shiv Sena leadership holds deep grievances against the BJP leadership. The two parties have come together after hard bargaining over the number of seats but the breakdown in their relationship became public on multiple occasions in the last five years. It is said that the Sena leadership had even explored other alliances during this period. These tie-ups have held on for these polls but a post-poll situation may be dictated by the number of seats the Congress, BJP and other parties manage to win. Plans will evolve for all formations and in such a scenario these grievances will also play a role. Some of the BJP's current allies, particularly the Shiv Sena and JD (U), have negotiated seemingly satisfactory arrangements with the BJP top leadership for the time being, but tables could turn here as well if the BJP fails to cross the 220-230 mark on its own. The BJP has tried to reach out to some of its existing and potential allies in recent weeks, including the Dravida Munnetra Kazhagam (DMK). Until now, it has not been successful in convincing these parties to join the NDA in a post-poll scenario. With most opinion polls predicting that the BJP on its own could struggle to cross the 220-230 mark, we could expect interesting political alignments on May 23. 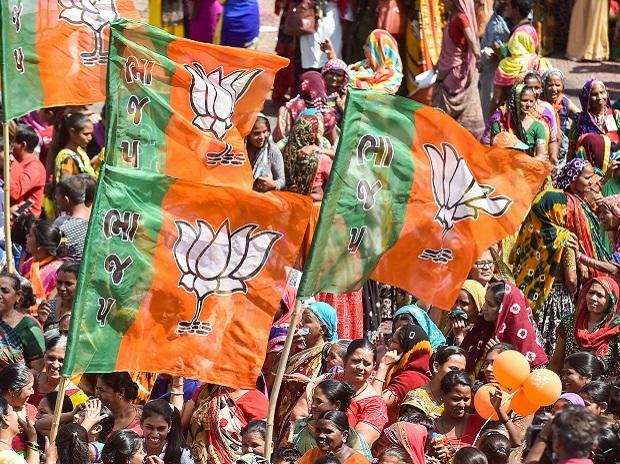 The BJP leadership may discover that projecting an uncompromising attitude may help with the voters but practicing it may make it unattractive to potential partners.